If you are raising a preschooler, chances are your kid has started to insist on going to school dressed as a pirate or wearing dance clothes. Beyond how cute or unpractical these fashion statements might be, between two and four years of age, children start to express a need for independence and autonomy that is usually exteriorized around bath and dressing-time. Having a say in what to wear and choosing clothes is a safe form of self-expression, and your daughter’s way of showing you how much she has grown and all the wonderful things she is now capable of doing. Because this expression of autonomy and self-care is important to a child’s social and emotional development, here are some tips on how to allow liberty in the wardrobe, and avoid power-struggles with a preschooler that sees no wrong in going outside to build a snowman dressed like Aladdin. If you have an important event to attend to with your child, select a couple of outfits your preschooler can choose from. This way she can pick out what to wear for the day, while, at the same time, you make sure that the clothes are appropriate for the weather and the occasion. Make sure the clothes buttons and zippers aren’t overly challenging for your little one’s hands to avoid overwhelming her. Encourage independent dressing, but nonetheless offer some help with small zippers, tricky buttons or shoe-laces to keep your child interested and not so frustrated that she won’t want to try it again. 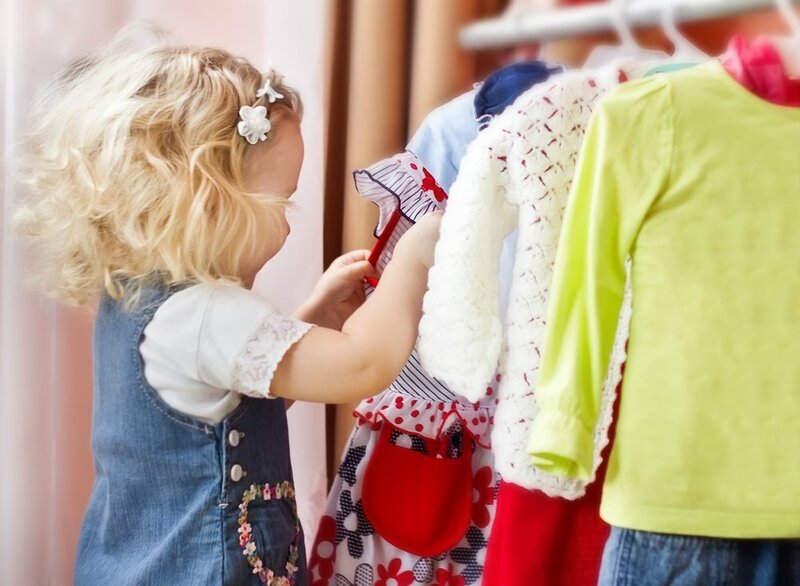 Let your little girl have a say in shopping for her clothes. Having your kid be invested in the clothes from the very beginning can make it easier to engage in getting dressed in them. For little kids, you can look for very comfortable clothes that include a figure or character your child loves.